I will never forget the day I first laid eyes on the most impressive animal I have seen in my life. I was guiding a safari on foot at the edge of the Busanga Plains in Kafue National Park in Zambia. It was not long before I picked up some unmistakable tracks on the loose, dusty ground, which, immediately made me quietly gasp and sent a cold shiver down my spine. The people that I was guiding were blissfully unaware of what had sent a sting of adrenaline coursing through my veins. I had just found the largest tracks of any lion I had ever seen! To create a bit of context, as a wildlife guide, viewing lions on foot is not an unusual situation to be in. In fact it can be something, which we actively seek out because what can beat the experience for a safari visitor to Africa than being in the presence of a wild lion, on foot. In these situations, one’s awareness of our full suite of senses operates at full throttle. This is an empowering feeling and something, which is hard to recreate. Sometimes, very rarely, we can truly say…nothing else matters. Being on foot with a lion is one of these rare cases. But on this day my breath was forcibly removed from my lungs in dismay. I was also deafeningly aware that the bush was quiet… very quiet…. too quiet. Only the shrill alarm call of an irate squirrel was cutting through the silence. I held up my hand signaling everyone to stop and stay still. I gathered my thoughts. These tracks were big…. very big…. too big. So big in fact, that I did not want my first introduction to this lion to be on foot. I made a measured choice of backing slowly away with my guests and going back to camp, returning with the vehicle to find the lion calmly lying a short distance from where we stopped. He looked up at us with steel eyes and everyone on the vehicle gasped in awe of this enormous animal. That was the day I met Big John, the most impressive lion I have ever seen. Big Johns story and subsequent death are very relevant to the hotly debated topic of trophy hunting. There are two very different sides to this debate and both militantly stand behind their arguments. It seems the debate cannot be settled between the opposing sides, so they often turn to public opinion as some form of mediation which, sometimes leads to manipulation of facts and conservation claims which are not warranted. Unfortunately the debate and situation is complicated, much more complicated than I am able to explain in this piece. I am staunchly against trophy hunting, but I recognize that hunting in theory (not trophy), with correct quotas in place can add some conservation value. One only has to look to the Desert Elephants of Namibia to see how a well thought out hunting quota system can result in an incredible conservation story which has eased the strain on local communities who have huge amounts of animal/human conflict to deal with in such areas. The problem is that wildlife across the world is found in vast open spaces, which are extremely difficult to police and protect. So while in theory the ideologies which exist around hunting where it can actually add conservation value, are in some cases sound in principal, the ability to police and enforce them is very difficult. There are many professional hunters that I know of who are some of the staunchest and most ethical conservationists alive today. The problem is that a lot of hunting safari operators are not ethical and will exploit situations to the maximum as I describe in an example to follow. While estimates of wild lion populations vary, it is safe to assume the number to be in the region of 20 000. This, I may point out is as low as the current rhino population, which are being slaughtered by indiscriminate poaching on a mass scale for consumption of Rhino horn, mostly in Asia. Trophy hunting – Targets the best genes in a population. For example, by removing the elephant with the biggest tusks you are removing the animal’s ability to spread it’s superior genes, meticulously chosen by a grueling process of natural and sexual selection. If this superior animal’s genes are not in high enough density in the population, prevented due to its untimely death through hunting, it’s ability to produce offspring with the same impressive traits and necessities to survival is obviously prevented. Gene flow prevention – Limiting the wild animals ability to prevent inbreeding by placing boundary fences around them on small reserves, prevents the natural flow of genes between different populations. In so doing we are severely weakening the gene pool. On a typical, small, managed reserve in Africa, only one, maybe two prides of lions can exist.Lions have through years of evolution engineered a very sound process to prevent inbreeding. Once the males reach a certain age, usually between 18 months and 2 years, they are chased away from the pride’s territory. The dominant male in the area is normally the father of these younger males and is the enforcer of their removal. The females will typically stay in the core pride and are all related. The young males then become nomadic for several years, learning to fend for themselves, hunt and fight for their right to be in an area.During this time, in a natural environment they travel huge distances until they are mature and strong enough to challenge a territorial male or coalition of males and take over a territory of their own. By doing this, the young males are isolated from their original family group, preventing inbreeding and weakening of genes. However, due to loss of habitat, in many cases wildlife has been forced into small fenced game reserves. This results with in inbreeding and weakening of the gene pool. Disease – Feline Immunodefieciency Virus or FIV (feline version of HIV), and Tuberculosis in lions is decimating the remaining populations in certain areas. 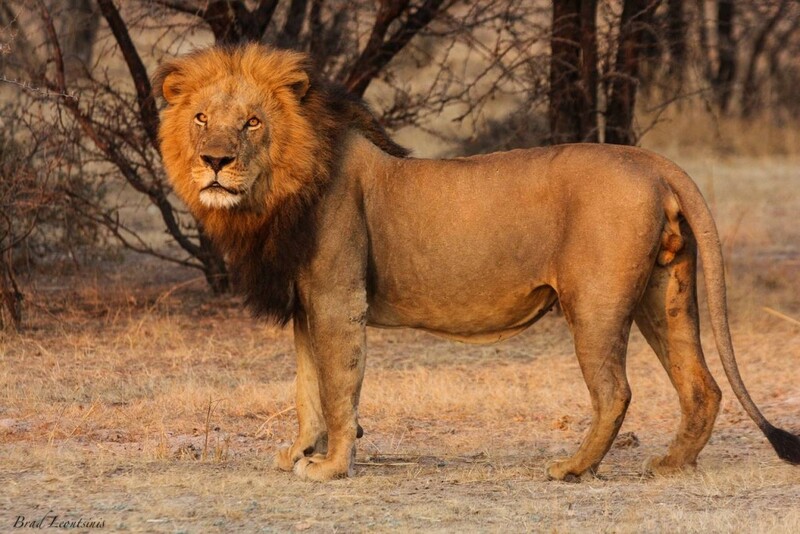 The spread of the disease to different areas is likely and results in lions which look more like scrawny flee bags rather than proud kings of the savanna. It could be strongly argued that the reason the populations are not able to defend themselves from such diseases is due to the severe weakening of the gene pool by shooting the best genes out of the population and further preventing the natural flow of genes between populations. To illustrate how trophy hunting is pivotal to all of this I go back to my story of Big John. For a single male lion to hold territories against other male lion coalitions is unusual. Male lions usually join forces to create coalitions of 2 or 3 males, which become formidable opposition as a team. They are normally brothers or males, which meet during the years of being nomadic. Big John was large, very large and strong enough to fight off these typical coalitions of 2 or 3 males on his own. This should give some level of appreciation as to how powerful this lion was and equally how important his genes were. Kafue National Park does not have fences on its border but rather a buffer zone where there is no human habitation. Hunting lodges are littered on the border of the reserve, within the buffer zone with no fences to prevent the animals from walking across. Hunting on the actual reserve is illegal but animals do not recognize invisible reserve boundaries and freely walk across the boundary and onto the hunting lands where they are vulnerable to indiscriminate slaughter. Even to the point where hunting operators would come across the boundary, kill an antelope and drag the carcass along the ground leaving a blood trail, baiting predators such as lions and leopards onto their properties where they can freely shoot them. Hunting quotas, whereby each operator is given a limited number of animals which they are permitted to kill are given by the Zambian Wildlife Authority but due to a lack of policing are almost impossible to enforce. So it is up to the operators, guided by good morals, to stick to these quotas. But when faced with the option of being paid many thousands of dollars to shoot a lion without anyone knowing or, to refuse the hunt due to the quota, one can be guaranteed in a lot of cases morals are laughed off and dollars welcomed with open arms. This means many dead trophy animals. But Big John was different, everyone in the area knew about him and it was agreed amongst all parties to leave him be, for the time being at least. That is unfortunately not how this story played out. One fateful day we tracked Big Johns footprints directly across the invisible boundary and off of our reserve onto a hunting farm in the GMA. That was the last sign anyone from the reserve ever saw of Big John. The hunting operators took this as the only opportunity they needed and smiled. His head is now, no doubt, despicably displayed on someone’s wall in the ultimate act of disrespect for a true King! The hunting operators staunchly denied our angry accusations, but we all knew what the reality was. Big John’s fate had been sealed from the barrel of a rifle. Now here is the true tragedy. His territory and the two prides, which he controlled, were now left with no male to defend them and the cubs. Whenever a changing of male lion guard occurs, it comes through huge battles, which can go on for days or weeks. Young nomadic lions come of age and have to go through the natural selection engineered process of defeating the dominant male lion or lions in the area. This can come at massive cost and the risk of violent death is real and not unusual. The challengers have a tough task on their hands as they are fighting off males, which have fought off many other rivals, and have a lot more to lose than the challengers, i.e. territory and females. 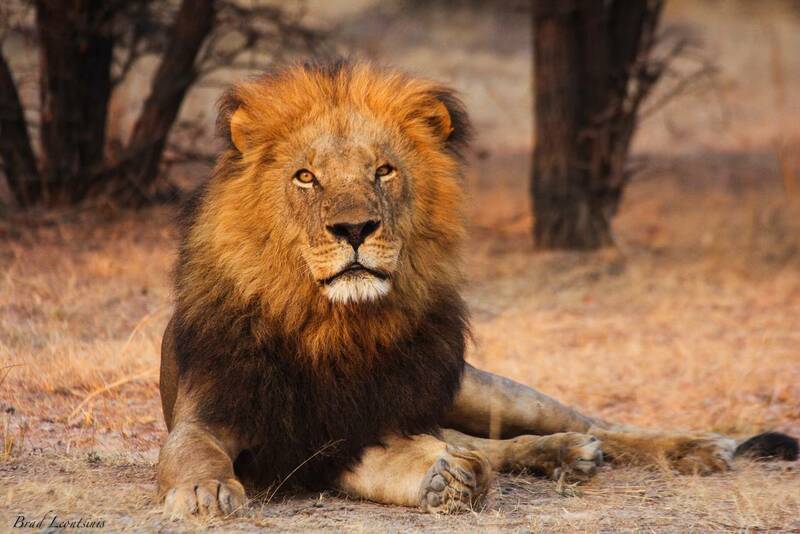 Following Big John’s death, his pride was now without a male and the pride was open to infiltration from any male, weak or strong, who did not have to go through the crucial process of natural selection by defeating a dominant male that was defending his territory and females. A pair of young males, way too young and inexperienced took over the pride, immediately killing the prides cubs which were fathered by Big John. In this case it meant that Big Johns crucially powerful genes were forever eradicated from the lion population of the Busanga Plains. This is the reality of trophy hunting. There are many conservation arguments which hunters present, which in principal make sense. The problem is they are null and void if you cannot prevent the type of situation, which occurred with Big Johns death from being a constant reality. Trophy hunters will say that Big John’s life was worth it for the thousands of US dollars pumped into conservation for his death. Yes it meant that a single tourist came to the region and spent some money. I am certain however, despite what trophy hunters would tell you, not a single drop of the money made from Big Johns head, which, was never officially acknowledged, went anywhere other than directly into the pocket of the operator. If Big John was shot with a camera and not a gun, his legacy would be on going, the number of tourists that would spend money in the region, just to come and see him would be exponential compared to the one tourist that spent money in the region and got to end the life of one of the last remaining true kings of our world.